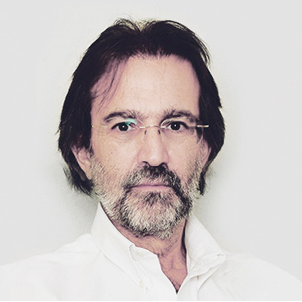 Today, we speak with Luis Martin Cabiedes, business angel and founder of Cabiedes & Partners, one of the most important venture capital funds in Spain. Cabiedes, who participated in NoviCap’s seed round, which closed in September 2015, also invests his private capital to purchase invoices (short-term debt) through the platform. In the interview, Cabiedes shares his vision as an investor and explains why he decided to invest through NoviCap as part of his portfolio. A decision in line with his diversification strategy. NoviCap enables a short-term investment, with high profitability and moderate risk, representing “one more asset in a super-diversified portfolio“. 1. How do you select the asset class to be included to diversify your portfolio? L.M.C. : There is no bad asset class, but there are asset classes which are misplaced in your portfolio. In my venture capital business I take calculated risk, however when managing my private capital I adopt a more prudent and risk-averse strategy. I diversify the portfolio by investing in as many asset classes as possible. I think the focus should be on “Asset Allocation” rather than the “Stock Picking”. The truth is that there are few asset classes that I do not like, I invest a limited amount in all assets, but what changes is the weight that I put on each one depending on the risk profile. 2. How do you decide the weight you give to each asset class in your portfolio? L.M.C. : There is an investment theory coined by Harry Markowitz amongst other economists. The weight that you want to give to every assets class in the portfolio depends on your aim, if you want to increase the level of risk (and therefore to increase your returns), you have to invest more in variable assets and less on fixed. I believe as golden rule you should not dedicate more than 25% of the portfolio on Alternative Assets. When I speak about Alternative Assets I refer to a new type of assets that has not traditionally been considered to be a part of an investment portfolio, such as investments in real estate or in commercial debt through alternative financing platforms like NoviCap. 3. How do you look for new asset classes? L.M.C. : I keep myself informed, reading and looking for new investment trends. I am speaking as a private investor and not as Venture Capital. Looking for new asset classes is a game of finding a hole in your portfolio. You have to analyse what type of asset it is, which is the risk profile and how it can fit within your portfolio. The aim of including Alternative Assets in your portfolio is to increase profitability, as these assets tend to be riskier and have higher returns. To mitigate the risk of the portfolio I diversify investments in different types of asset classes: real-estate, venture capital, emerging markets and direct lending, and I limit the exposure in each one. 4. Why are you interest in investing in short-term assets? L.M.C. : Investing in invoices, plays a small role in my portfolio but as a short-term investment it allows me to maintain a high level of liquidity. Apart from diversifying into different assets, you have to diversify in time. To analyse an investment there are three main criteria: profitability, risk and liquidity. NoviCap has a high yield, moderate risk and a high liquidity. Instead of having a current account deposit with an average return of 2%, you can invest through NoviCap with a yield of 8-10% per annum. This way you can place the most liquid portions of your portfolio as a depoit with NoviCap. However I would never invest more than 5% of my portfolio in liquid assets. 5. Why do you think there is a growing interest towards investing in FinTech platforms? L.M.C. : FinTech startups emerge as a response to an unsatisfied demand in the market. Only an automatic and technological process allows you to access a certain type of asset class, which would otherwise be much more expensive and complicated in the traditional form used by banks. For example, when investing in commercial debt, a professional investor does not have the time nor the risk analysis instruments to be able to analyze an X number of invoices. NoviCap solves this problem since it enables automated trading in hundreds of invoices, grouped and arranged according to the risk profile. 6. When was the first time that you heard about NoviCap? L.M.C. : Managing a Venture Capital fund I am well acquainted with the Alternative Finanancing models which have been emerging in the last 10 years, starting with Prosper in the US amongst others. I got to know NoviCap thorugh the SeedRocket Accelerator and today I am a “double” investor. I never use the products or services of the firms I invest in, but with FinTech I make an exception. With NoviCap and with Kantox I am both an investor and a client. It is very different to value a company as investor or as consumer. For example, as a client you can like a restaurant for the gastronomic offer or for the ambiance, but as investor a fast-food business model such as McDonald’s can bring greater profitability. Warren Buffet claims he only invests in companies of which he is a client, but in my case it’s the opposite. A company creates value but another thing is where that value is chanelled. Another example is the airlines industry, it created an immense value for the consumer, but the investors have lost. Many investors get confused with these two perspectives. 7. What are the risks of investing through NoviCap? L.M.C. : When you are investing in a diversified form, individual risk is covered. Therefore the risk incurred is cyclical, it depends on the economy and macroeconomic conditions for SMEs in Spain. 8. What are the advantages of investing in commercial debt? L.M.C. : Invest in invoices is attractive because as a short-term investment it allows for high liquidity. The high profitability is of course one of the principal appeals, investing in the stock market also gives you similar returns but only in the long-term (7-8 years). In addition, the commercial debt is an investment with moderate risk, as SMEs have the urgency to discount invoices and are thus willing to pay a commission for this service and secondly the client has the obligation to pay the invoice for a service or product that has already been delivered by his suppliers. 9. Which are the principal advantages and limits in investing in invoices across NoviCap compared to another class of assets? L.M.C. : NoviCap is one of the first Spanish platforms to offer access to a new asset class with high liquidity. The great advantage is that it is growing rapidly, and the limit is that it is still early. More SMEs and more invoices, results in a more diversified investment. For a professional investor in NoviCap the best strategy is to begin with an initial deposit, and gradually increase it as the volumes in the platform grow. It works like a Network Effect, the more people participate, the better for everyone. NoviCap’s key is the liquidity that is obtained by size and by concentration. 10. Do you use the automated trading functionality to invest with NoviCap? Which are the advantages? L.M.C. : The time and cost needed to analyse a single invoice is not cost-effective, therefore the automated trading feature results as the best solution for investors looking into diversified short-term corporate debt investments. The automated option allows you to select the parameters of investment and diversify your portfolio in a simple form. In my opinion the strategy is to invest small quantities in the maximum number of invoices. The diversification is the only strategy, which allows you to increase the profitability adjusted to the risk. 11. Do you invest in other asset classes with an 8-10% annual return like with NoviCap? L.M.C. : Yes, there are other assets classes with a similar return range. The stock market is an example, however the difference is that it consists of a long-term investment. Similarly, investments in Venture Capital have high returns but it is not a liquid investment. If you want more information on how to invest with NoviCap, visit the investors section in their web page here.